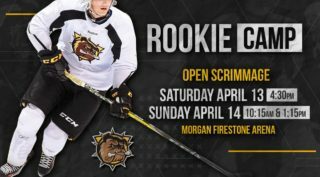 Day 2 of Bulldogs Training Camp on Wednesday included three scrimmages. 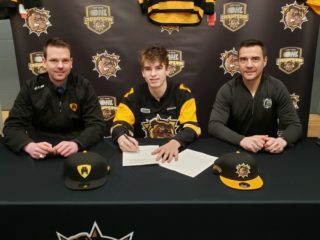 In the morning, Zachary Jackson, entering his third year with the Bulldogs, scored twice to lead Team Black to a 5-2 win over Team Grey. Of note, 1st round draft pick Logan Morrison had a goal and an assist for Team Grey. Morrison stepped up his game in the afternoon scrimmage netting a hat-trick in regulation time and then adding one in the shoot-out as Team Grey beat Team White 6-5. Returning forward Ben Garagan was on his game scoring twice for Team White. 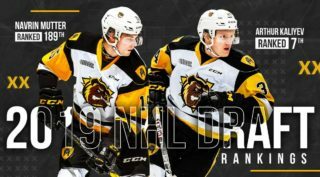 12th round draft pick in the 2018 OHL Priority Selection Ryan Tverberg led the way in the evening scrimmage with three goals as Team Black downed Team White 6-2. Training camp wraps up at FirstOntario Centre with the Black and Gold game Thursday morning at 10:30. 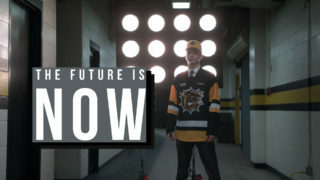 The Bulldogs then open the pre-season on Friday at the 4-team OHL Showcase to be held at Harborcenter in Buffalo, NY. along with the Erie Otters, Flint Firebirds and Windsor Spitfires.